All problems are interconnected, and at the core, human ingenuity and economic sustainability are what drive prosperous societies. Our foundation is committed to investing in people, partnerships, and new ideas that solve specific problems, and together ensure a vibrant and sustainable community. We therefore focus on human health, creative mind, and ensuring all Louisianans can have access to economic opportunities. We partner with other donors, businesses, government, and most importantly our nonprofit partners - without whom none of our ambitions on any issue can be realized. The Foundation is led by a Board of Trustees, a CEO, and a Program Office that work hand-in-hand with nonprofits to lead initiatives relevant to the Foundation's mission and the community's needs. The Irene W. and C.B. Pennington Foundation has a long history of community giving. A large part of our giving is focused in the Greater Baton Rouge area and surrounding parishes, including East and West Feliciana and Pointe Coupee. Our focus is in the areas of: human services, health and chronic diseases, the arts, public safety/community development, disasters/community resilience, and the environment. The Foundation funds organizations at all stages of maturity and values projects that are innovative and leverage resources in new ways. A healthy and prosperous Louisiana: its people, community, arts, culture, environment, and economy. To serve as a partner, champion, and ally for the State of Louisiana by investing in innovative projects that build resilient communities. Louisiana is a remarkable melting pot of American cultures, a rich spring of natural resources, a catalyst for the imagination of Americans from every walk of life. And yet we are a small state prone to challenges, such as poverty, chronic diseases, obesity, and natural disasters. The Pennington Family Foundation acknowledges and addresses these issues individually and collectively with the understanding of how each affects one another. They all form an ecosystem of challenges that, in their entirety, slows us down from being our best selves. We therefore not only leverage our investments, but we also forge partnerships, encourage creative collaborations for maximum impact in the state and the region as a whole. The Irene W. and C.B. Pennington Foundation was officially created in 1982 by Claude B. “Doc” Pennington and his wife, Irene Wells Pennington, but our story actually begins in the early 1920s. Doc Pennington began his career as a laborer in Louisiana oil and gas industry but soon decided to follow in his father’s footsteps and pursue a practice in the field of optometry. It wasn’t until the 1950s after his father passed away that Pennington returned to his original passion. He discovered Mount Pleasant Plantation, which was located on 2,000 acres on the Mississippi River bank in Northern East Baton Rouge Parish. He was immediately intrigued. Pennington promptly borrowed $300 for a new suit and traveled to Chicago to meet the landowner in hopes of leasing the mineral rights to the property. The plantation was owned by a banker named Edward E. Brown. After his wife’s death, the plantation had been neglected, and in lieu of a lease Brown offered to sell the property outright to Pennington. In May of 1957, Pennington and his only son, C.B. Pennington Jr., purchased Mount Pleasant Plantation for $400,000, which later proved to be the most important investment of his life. In 1975 while drilling a well near False River, Chevron discovered a rich mineral layer three miles underground, and Mount Pleasant sat right above an untapped stretch of oil that spanned through South Louisiana. Chevron declined Pennington’s request to drill on his land, but in 1977 Amoco saw promise in Pennington’s prospect and drilled a well north of the plantation. The well struck one of the largest oil and gas finds in Louisiana history! 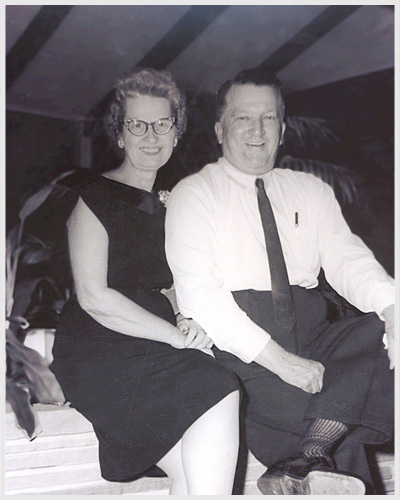 Pennington and his wife, Irene, vowed to share their success with the community that had been such an important part of their lives, and in 1980 the couple gave a $125 million gift to Louisiana State University to create a nutrition research facility. 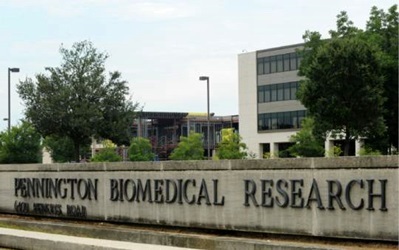 The Pennington Biomedical Research Center is now a renowned institution that conducts groundbreaking research in obesity, nutrition and health and performance enhancement. This was only the beginning of the Pennington’s generosity. During their lives, both were noted philanthropists and volunteers, and in 1982 their private family foundation, the Irene W. and C.B. Pennington Foundation, was established. Today, the board of trustees is led by Doc's three grandchildren who have led this generation of giving, both sensitive to Doc's original mission related to the Pennington Biomedical Research Center and healthcare, as well as introducing a more holistic approach to addressing current community needs. Doc Pennington will never live to see his own "cathedral" completed. It is the job of the trustees to continue building this monument to his spirit of generosity. We strive to continue to not just identify problems in our community, but to identify the unique assets of the South, and to invest in creative solutions that create impact in Louisiana and the world.